The year 2018 brought significant progress for education in New Orleans. To start, we saw meaningful improvement in student achievement. 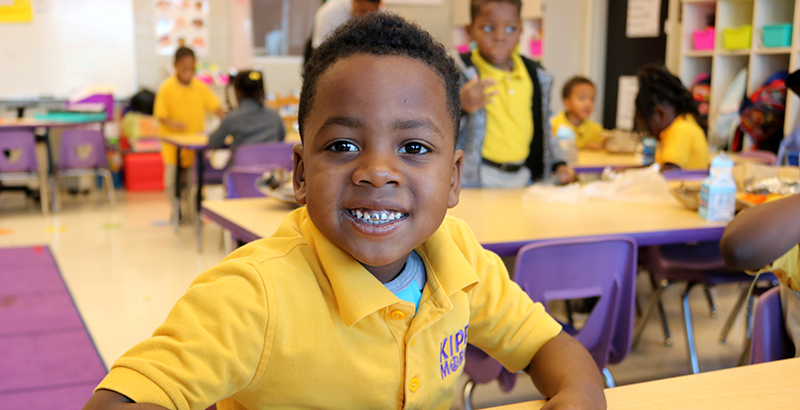 In the 2017-18 school year, 80 percent of New Orleans schools earned an “A” or “B” progress index rating, which measures student growth from one year to the next. We also moved up eight spots in statewide rankings of district college-going rates, with 61 percent of our students enrolling in two- or four- year colleges after graduation. This is a striking increase from a college-going rate of just 37 percent in 2004. We also saw critical structural changes. For the first time since before Hurricane Katrina hit in 2005, the city’s schools are authorized by a single local body, the Orleans Parish School Board. This shift continues to place agency in the hands of those closest to children. The board also set a higher bar for accountability last year, one that places student growth as a key factor. Our progress stems from the hard work of many: from board superintendent Henderson Lewis Jr. to parents and teachers, school leadership teams, nonprofits and local agencies, and, of course, the students themselves. So how did we do it? Folks are quick to attribute any growth (or setback) in New Orleans to the role of charter schools. Chartering schools in New Orleans was an expedient vehicle that allowed classes to restart immediately after Katrina. Over the past several years, the district has decided to allow that vehicle to be the norm for public schooling in the city. Of New Orleans’s 87 public schools, 79 are under board oversight; the remaining eight are special types of schools open to all Louisiana residents and governed by the state. The public charter schools-versus-traditional public schools debate has been ongoing for quite a while, but in New Orleans, charter schools are simply our schools. We have no for-profit schools in the city, and our schools are free, public schools. It is time now to move past that dated conversation and examine what is really behind local growth. The autonomy and agency afforded to our schools is central to our system’s success. However, there is another critical factor that has long been overlooked: the very nature of our local ecosystem. We owe our improvement to the synergy of three key forces — regulators, innovators, and collaborators. These forces work together to support great public schools, in partnership with their families and our community. The central regulator in New Orleans is the Orleans Parish School Board. In its new capacity as sole charter authorizer for the city’s schools, the board regulates quality and performance. When a school is not adequately educating children, the board works to help it improve. If it does not show improvement, that school may be closed or transitioned to new management. While school transitions are undeniably difficult, they are a critical part of the board’s role as regulator. No parent wants their child in a classroom that is not providing a quality education, and it is the board’s job to prevent this. Our innovators are the ones working with students in classrooms across the city — the school leaders and teachers showing up every day and getting creative about their work. These educators are combining established best practices with exciting new methods and models, all with the aim to best serve every child. Sometimes, their innovations revolutionize how we think about a classroom; other times, change comes in the form of inventive everyday shifts like a tweak to lesson plans or a revision in schedules. New Orleans’s innovators are teachers like Ingrid Rachal, who teaches eighth-grade English at Mary McLeod Bethune Elementary Charter School. She has integrated theater into her curriculum, helping students internalize literature while working toward fully realized performances. Our innovators are teachers like Juan Serrano, who traveled with students from his seminar in social justice to the March for Our Lives in Washington, D.C., last spring. They are school leaders like Deanna Reddick, whose time as a lawyer in juvenile courts inspired her to work as a school principal with an unyielding belief in her students. Collaborators are the forces working alongside the board and schools to provide needed services and supports, both on a systemic level and directly with young people. The organization I lead, New Schools for New Orleans, is one such collaborator. We make strategic investments of funding, time, and expertise in high-impact organizations to help improve the city’s schools. We work in partnership with the board, other nonprofits, charter organizations, and individual schools. There are many other local collaborators. They are organizations like YouthForce NOLA, which helps prepare students for high-wage, high-demand careers. They are nonprofits like New Pathways New Orleans, which matches service providers with schools and students, particularly those involved in the criminal justice system or those who have significant special needs or behavioral health challenges. They include the New Orleans Early Education Network, which brings together more than 150 early childhood care and education providers citywide. They are programs like the New Orleans Career Center, where high school juniors and seniors receive training in health care and manufacturing. The cooperative action of these regulators, innovators, and collaborators drives stronger student outcomes. Our collective efforts bring lasting change. Together, we work with urgency and accountability. Together, we make decisions based on what has been proven effective and empower those who work closest to classrooms. Together, we move past old arguments and onto new outlooks; in 2019, education in New Orleans is not about comparing district-operated schools to charter schools, but about building the best schools there can be. It is about our combined forces, not about choosing sides. Whether we are teachers, nonprofits, parents, or board administrators, we promise our children that we will fight each day, united and unstoppable, so they can grow into the leaders they are meant to be. Patrick Dobard is CEO of New Schools for New Orleans and former Recovery School District superintendent.